His book reflects this view and is a concise and practical explanation of how to find your way in mountains and moorland. Everything you need to know is here, from map reading to navigating in poor visibility. Simple descriptions alongside clear illustrations help the reader to put Kevin&#39s advice into practice, and master the knowledge and techniques needed to navigate in all conditions. Kevin Walker lives in the Brecon Beacons area of mid Wales, and has been a professional mountain leader and hill guide for almost four decades. A self-confessed mountain addict, he ran ML training courses for several years, and has written many books including Mountain Hazards, Wild Country Camping, The Essential Hillwalkers’ Guide, and Undiscovered Wales. He runs a wide range of navigation, hill skills and mountaincraft courses, as well as offering personal tuition, 1:1 coaching, and private guiding. When not teaching or guiding, he spends most of his free time exploring, photographing and writing about the less well known parts of Wales, with occasional trips to further flung hills, most recently the Spanish Sierras de Tejeda and the Nepal Himalayas. Excellent book. Clear. Concise. Easy to understand and follow. Many books of this sort are too technical and hard to follow for the beginner. 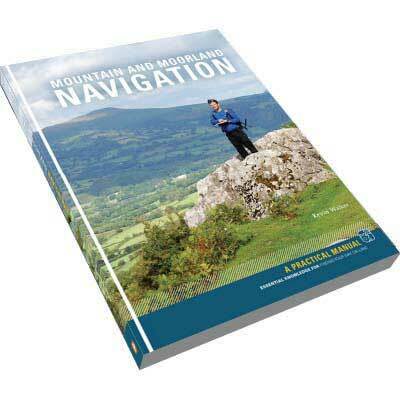 Kevin Walker’s book is first-class taking you through navigation techniques in an easy to follow way. Highly recommended.